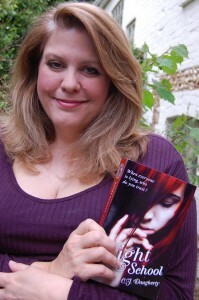 American born author CJ Daugherty, whose Night School series (HarperTeen) is an international bestseller (in 20 countries), is one of the most successful YA authors to appear in the last few years. 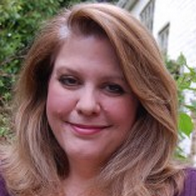 She’s also not altogether pleased about being labeled a YA author. from the media and bookstores. “If you walk into a bookstore in Britain, go to fiction and look for George R.R. Martin. You have to go find the fantasy section that’s tucked away in the back corner where you find embarrassing things — and there you’ll find Martin. Go to the front fiction sectionand you’ll find Ian McEwan who is of course a great writer — but why do you call it a fiction section if Martin’s books aren’t there and my books aren’t there?